About 31 deaths have been reportedly linked to the snowstorm of last weekend. Aside from the news of the number of death in relation to the snow snowstorm, It is something entirely new for residents in New York, listening to Mayor Muriel Bowser of Washington, pleading to store owners to clean up their store fronts, after the snowstorm on Sunday. According to the mayor, there is a need to clean the store fronts so that shoppers would have access to the stores, for buying and selling to begin again. For curious observers, the mayor's statement shows a difference in what is obtainable In New York City and Washington, with the news reports describing 30 inches of snow accumulation in Washington as a new experience. 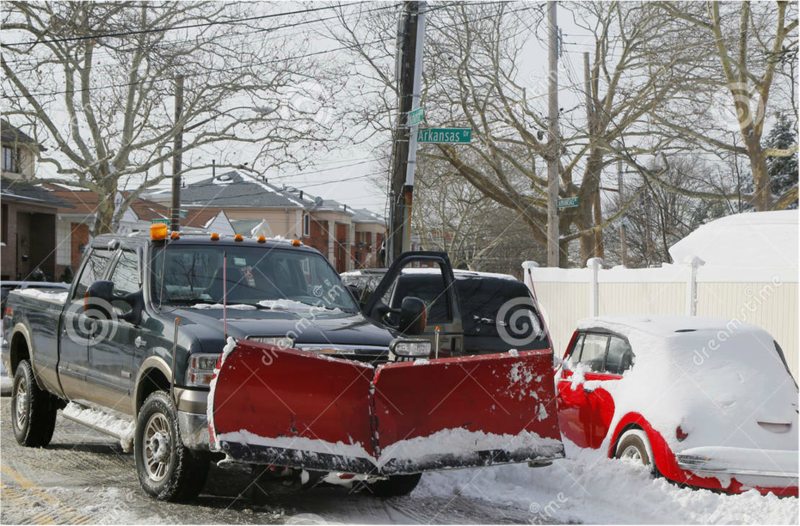 In New York City, people know it is not only mandatory for store and home and owners to clean up after snowfall, but lawful and home and store owners know that it is customary for them to clean up around their homes and store fronts after snowfall, storm or no storm. And if they don't, they know that the city will ticket them and that goes with a fine. Therefore, it is part of the lifestyle in the city for cleaning up to begin as soon as the snow stops coming down. Cleaning up is usually brisk because people have to go to work and they would need a path through the snowy ground to connect the train station or bus stops. Experience after the Sunday's this past weekend's storm hasn't been different. Traveling in New York after the travel ban placed on commuters to ensure safety of lives was lifted at about 05:00 am and the trains rolled out close to 07:00 am, workers began to appear at work as if snow had not fallen or there had not been a storm. Paths appear though the snowy ground to train stations and all over the sidewalks. Very early, many of the train ran local, and they gave everyone going express and local, a chance to get to their destinations. The situation was so much different in New Jersey. Although, the Path Train began running early from the World Trade Center to Jersey City, without further journey to Newark, and reports that Jersey City transit buses and private buses and taxis were yet inactive, the case was not the same at the Port Authority on 40th Street. O arrival there, only two of about 15 ticketing windows opened. Tickets for most the of the buses to major areas New Jersey were available and the buses were on time as at 03:00 pm. Traveling through Jersey Transit bus 160 at 04:00 pm through the Port Authority showed that the roads had been cleared through to East Rutherford, Rutherford, Carlstadt, Wallington and other adjoining boroughs. All the secondary road networks had also became pliable. There was only one point immediately after the Lincoln Tunnel, where the bus driver slowed down to navigate into the bridge toward the Union City, because the snow on the ground were still shinning and unaffected by the melting salt. As the bus traveled through the 31st Street in Union City, a look through the bus windows shows that the connecting streets had all been cleared of snow accumulation. . Most schools are currently closed in snow affected areas across the country to allow for full transport operations the clearing of snow accumulation. It is not unusual for thousands of flights to be cancelled at airports following a snowstorm and for cleaning up to begin immediately after the storm. It is also customary for media houses to report the cancellations and effort being made to restore services at the airports, to assure travelers that there is hope for their flights. It would have been news that flights have continued uninterrupted, despite the snowstorm and snow accumulation on runways.